﻿Large self-catering accommodation near a golf course in Northumberland and The Scottish borders. Are you organising a golfing holiday in Northumberland and The Borders? Rent flexible self-catering holiday homes close to the course. With both European and senior domestic golf tours held regularly in Northumberland, it can be quickly appreciated that the county is a great place for golf, being as it is, home to some great golf courses. And many of these courses not only offer great spectacular Northumberland vistas and views, but are true links courses, such as Dunstanburgh Castle, Goswick, Newbiggin-by-the-Sea and Warkworth, to mention but a few of those near the coast, if not by the sea. And championship courses such as Burgham Park, home of the PGA North Region Championship and the fine Slaley Hall can be found further inland. But don’t think it’s all major courses aimed at the serious golfer – there are plenty of courses for beginners and intermediates, as well as a number of driving ranges scattered around the county. Holiday homes sleeping 2-10 + people close to golf courses - not far from the fairway! Vacation retreat in Northumberland near Seahouses with 3 bedroom, sleeps 6, Pets friendly, Pub within 1 mile, Wifi, Coastal Property. Big house for a holiday in Northumberland near Seahouses with 5 bedroom, sleeps 11, Pets friendly, Barbecue, Pub within 1 mile, Wifi, Baby and Toddler Friendly, Cot Available, Coastal Property. Large holiday house in Northumberland near Seahouses with 3 bedroom, sleeps 6, No pets, Ground Floor Facilities, Pub within 1 mile, Wifi, Cot Available, Coastal Property. Further north to the Scottish Borders and perhaps one of the most picturesque counties in Scotland. It’s now a great area for golf, having previously been noted mainly for its nine-hole holiday courses. There are now 21 golf courses to choose from, several of which are quite demanding 18-hole courses, including Hawick and Roxburghe, home of the Charles Church Scottish Seniors Open. And golfing has improved to the stage where legends such as Tony Jacklin, Nick Faldo and Colin Montgomerie speak very highly of the Borders golf clubs. So much so that Cardrona, the most recently built golf club in the Borders, has been called the 'Gleneagles of the South'. Similarly to Northumberland, there is also a great range of self-catering accommodation of all descriptions available to the holidaymaker, helping to make your golfing escape from daily life all the more enjoyable. Large holiday letting in Northumberland near Morpeth with 6 bedroom, sleeps 14, Pets friendly, Cot Available. Large holiday house in Northumberland near Morpeth with 6 bedroom, sleeps 14, Pets friendly, Ground Floor Facilities, Pub within 1 mile, Sea View, Wifi, Coastal Property. Hire a large house in Northumberland near Hexham with 6 bedroom, sleeps 13, Pets friendly, Golf nearby, Pub within 1 mile, Wifi, Cot Available. 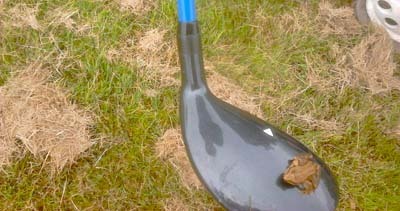 Whether its golf in Northumberland or golf in the Borders (or both! ), there is also plenty to see and do for the non-golfing members of the family – a laze on the beach where the golf club is by the sea, shopping, visiting museums and attractions and even walking, to mention but a few. Most golf clubs will be near good local facilities of some description, so you will be able to leave the golfer to it for the day. Luxury accommodation in Norfolk near King's Lynn with 6 bedroom, sleeps 12, Pets friendly, Ground Floor Facilities, Pub within 1 mile. Large holiday letting in Herefordshire near Kington with 6 bedroom, sleeps 16, No pets, Wifi, Cot Available. Self-catering accommodation in Argyll and Bute near Oban with 4 bedroom, sleeps 12, Pets friendly, Barbecue, Ground Floor Facilities, Pub within 1 mile, Sea View, Wifi, Cot Available, Coastal Property. Vacation retreat in Dumfries and Galloway near Stranraer with 6 bedroom, sleeps 12, Pets friendly, Barbecue, Ground Floor Facilities, Pub within 1 mile, Coastal Property.